Finally got around to posting this challenge on Boolprop! Shame I didn't earlier! Last edited by Mpart on April 7th, 2018, 12:43 pm, edited 14 times in total. *squeel* Baelfire! I've always loved that name from OUaT. I was like when I saw you added a challenge. Mpart, you build the most amazing small houses! Looking forward to seeing what you put together in their new home. The whole family is just adorable. The kids, and Jane and Jasper. Nevermore wrote: *squeel* Baelfire! I've always loved that name from OUaT. Oh my goodness! I just saw this comment! Thank you so much, Nevermore! I really appreciate the compliment. Gosh, this made my day. Thank you! Last edited by Mpart on December 21st, 2017, 10:38 am, edited 1 time in total. Two more coming your way! Last edited by Mpart on January 10th, 2018, 8:57 pm, edited 1 time in total. Making the guy faint, then making out in front of him.... I love these two. You are so lucky with the gender ratio of your babies! I wondered, would you like me to make you a family tree? 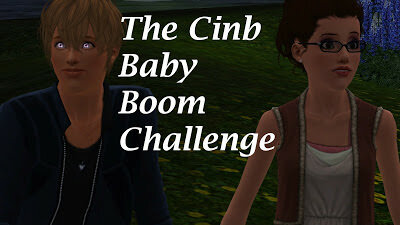 I'm currently making one for Liv's baby boom as well. If you do, I can PM some samples of family trees I've done. Nevermore wrote: Yay! More Cinbs! XD I love those two so much too. They just are so adorable together and will run to each other when I leave them alone for one moment they are flirting. Thank you so much! I'm not sure what causes it and it's a bit weird as it hasn't happened in any of my other saves, no fruit is eaten, and seems to only happen with the Cinbs. Yaaasss! Thank you for creating it! I know it's going to be wonderful! Oh no! I take it I should just delete the Cinb family tree I was making for you? Or do want that in it's unfinished state? Nevermore wrote: Oh no! I take it I should just delete the Cinb family tree I was making for you? Or do want that in it's unfinished state? I would love to have it in any state it is in. Thank you for creating it for me. Sorry that the Cinb's ended this way. So do you want me to move it or were you able to save this? It wasn't flagged so I thought I'd ask first. Ani-Mei wrote: So do you want me to move it or were you able to save this? It wasn't flagged so I thought I'd ask first. Ah, sorry about that. I'd like to move it please. Thank you.